Ajay Devgn Films is planning to launch a comic book for their upcoming Bollywood movie – “Shivaay”. The comic book will be launched by Mr.Devgn and the cast of Shivaay on 23rd October at Comic Con Mumbai. The book is being scripted and designed by TBS Planet, comics studio from Bangalore. Priced at 99 Rs. 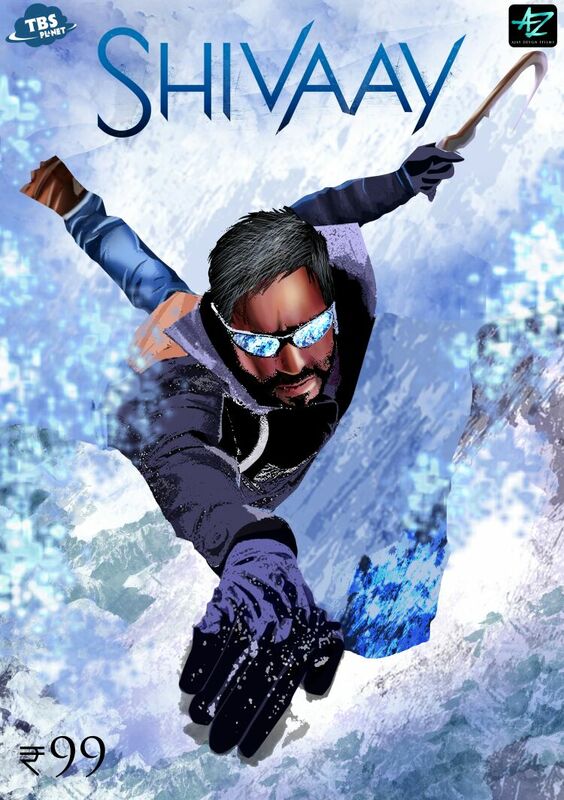 the comic book is an adventure of an expert mountaineer named Shivaay who uses his wit, skill and expertise to overcome odds. Available in paperback and e-book format, this comic will cover a thrilling episode of Shivaay’s North Pole expedition. The readers and fans will have a treat reading the comic as the book’s story and characters are completely independent of the movie. This story is based on a mission that Shivaay undertakes on the request of “India Meteorological Department” (IMD), the primary agency of Government of India responsible for meteorological observations. IMD, which has its centres across Asiatic and Antarctic continent, plans to establish its observation centre at the North Pole. IMD’s officers Vishal and Vikrant thus accompanied by trained mountaineer Shivaay reach the prospective location – an extinct volcano. However to their horror, they encounter a woolly mammoth, a species that used to inhabit the Earth about millions of years ago. The comic takes us on a thrilling ride as Shivaay along with his comrades unravel the hidden mystery behind this episode. The book will be retailed through all leading e-commerce websites including Flipkart, Amazon and Snapdeal and will also be available at select bookstores and retail outlets. The script is written by Rajeev Tamhankar, founder, TBS Planet. Rajeev has previously authored the bestselling book – “Get Corporated before you get fired!” and all comics published by TBS Planet including “Ved”, “Sagar”, “13 Days” and “A Flying Jatt”.